Alisha Sommer is a freelance writer and photographer. You’ll find her working on her literary magazine, facilitating writing workshops, and photographing food and wine. Follow her on Instagram here. Relationship to New Orleans: New Orleans is where my parents now call home and thus it has become my home as well. My roots there aren’t literal, but I am always more myself when I’m standing under the live oaks in City Park. Writer you'd like to invite to dinner: John Steinbeck. He writes so beautifully about place that I would love to hear his interpretations of New Orleans’ landscape which is so vastly different from the valleys of California he knew so well. Chef you'd like to prepare the meal: Chef Justin Devillier of La Petite Grocery makes some of my favorite food in New Orleans. He’s a James Beard Award winner and his meals are the perfect balance of light and rich, a nod to his California roots and French training. Writing soundtrack: John Mayer. Always John Mayer. Coffee or Tea: Always coffee. Unless I’m out and then I settle for tea. Faulkner House Books. 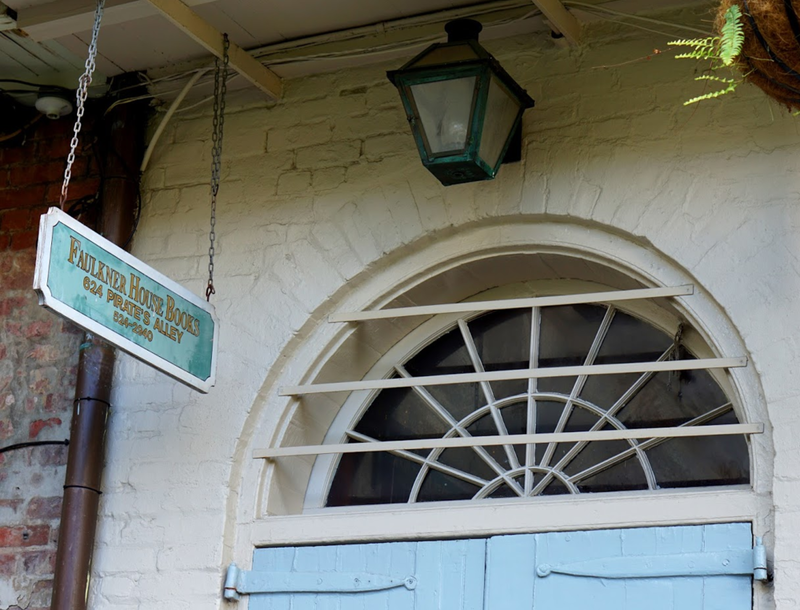 Tucked away in Pirate’s Alley which runs between the Cabildo and St. Louis Cathedral, Faulkner House Books is always a must. The great writer William Faulkner once boarded here. It's the size of a postage stamp but has an amazing collection of current titles and highly collectible first editions. Crescent City Books. Located just outside of the French Quarter on Baronne Street, this bookstore is worth a visit for an eclectic blend of books. Dauphine Street Books. Sometimes you’ll see a black cat strolling about. This tiny location is packed with a wonderfully curated collection and a friendly owner who really knows his books. Garden District Book Shop. The building that houses the Garden District Book Shop was once a skating rink. It’s worth going to just for the beautiful tree-lined streets and stately homes that surround it, but you’ll also find first editions and a wide selection of used and new books. Librairie Book Shop. Though the hours are listed on the front window, the owner seems to move at her own beat and thus you may find yourself waiting a little too long in the heat. But she has an interesting collection of used books with great prices as well as vintage postcards and artwork. The New Orleans Public Library System. The flagship location is located downtown on Loyola Avenue, however the East New Orleans Regional branch is closest to me and whoever curates their cookbook section is a gem. Tennessee Williams/New Orleans Literary Festival. Also known as TWFEST, this is one of the oldest literature festivals in New Orleans. It’s held during the last weekend in March with events spread across various venues in the French Quarter. In addition to the festival, the organization also hosts various writing contests. Words and Music Festival. Hosted by the Pirate’s Alley Faulkner Society, this festival offers five days of diverse literary programing for writers and readers. The Faulkner Society is also very active in the community by providing reading programs for at-risk teenagers and offering a variety of literary events throughout the year. New Orleans Book Festival. A free, family-friendly 2-day festival celebrating books and promoting literacy. Saints and Sinners Literary Festival. This alternative festival was founded by LGBT members of the literary community and they draw some of the biggest names in writing every year. They also hold a yearly fiction contest; anthologies containing the works of each finalist are available for purchase on their site. Papier Plume. “Fine supplies for the discerning writer.” This little shop on the corner of Royal and Dumaine Streets is a writer’s dream. 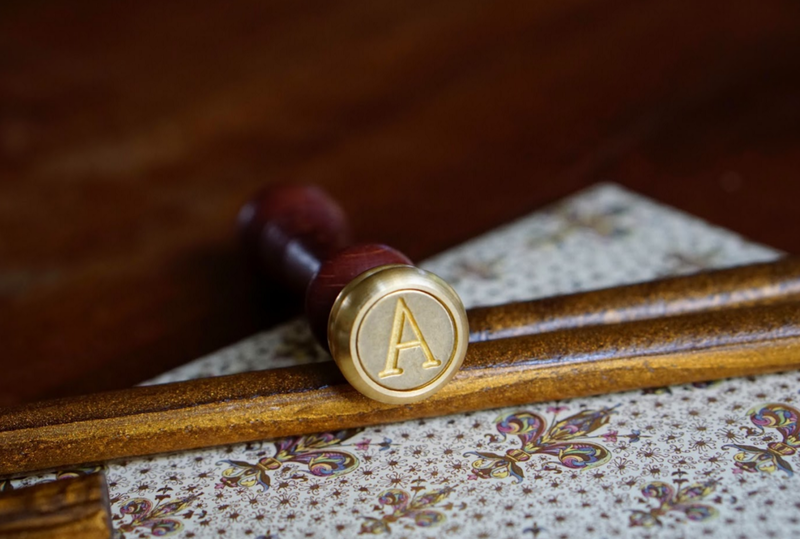 Wax seals, delicate paper stock, leather-bound journals imported from Europe, calligraphy pens - and the owner has a french accent. French Quarter Postal Emporium. If you head a little farther down Bourbon Street, away from the bustle of the Quarter, you’ll stumble upon this neighborhood post office. It’s quaint and boasts a unique selection of postcards by local artists. 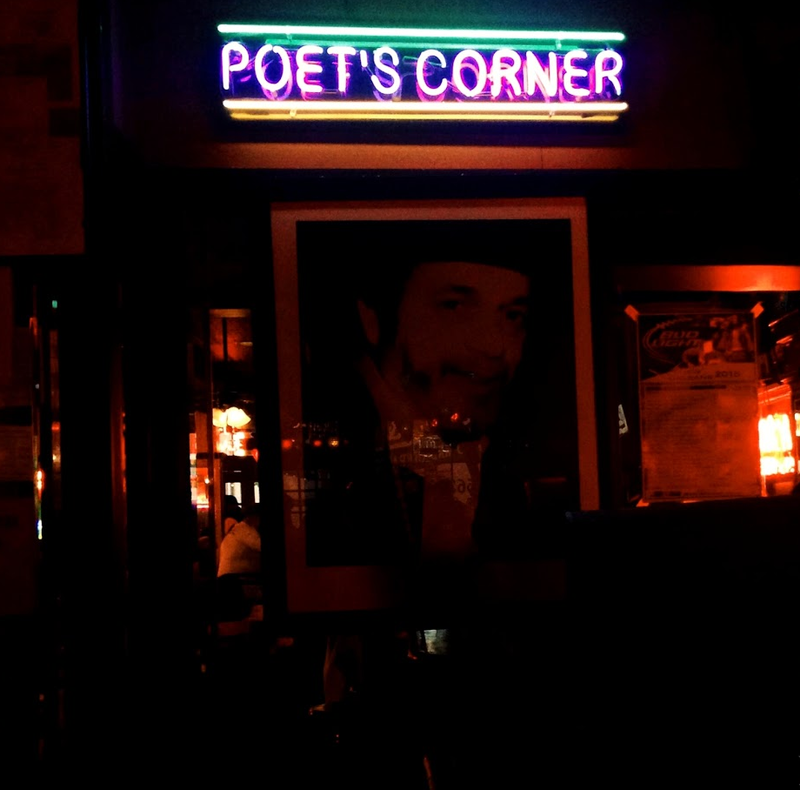 Poet’s Corner at Acme Oyster House. The flagship location for the Acme chain is on Iberville where there’s a bright neon sign with “Poet’s Corner” illuminating the bar. Arrive early for grilled oysters and an Abita Amber with my favorite bartender, Curtis. Cemetery, Ghost, and Literary tours. Give your writerly imagination a jolt on a walking tours of some of the most historic pieces of land in New Orleans. City Park. If you love southern gothic literature, you must visit City Park and stand under the live oaks dripping with Spanish moss. You will be transported right into an Anne Rice novel. Café du Monde. World famous and for a reason. 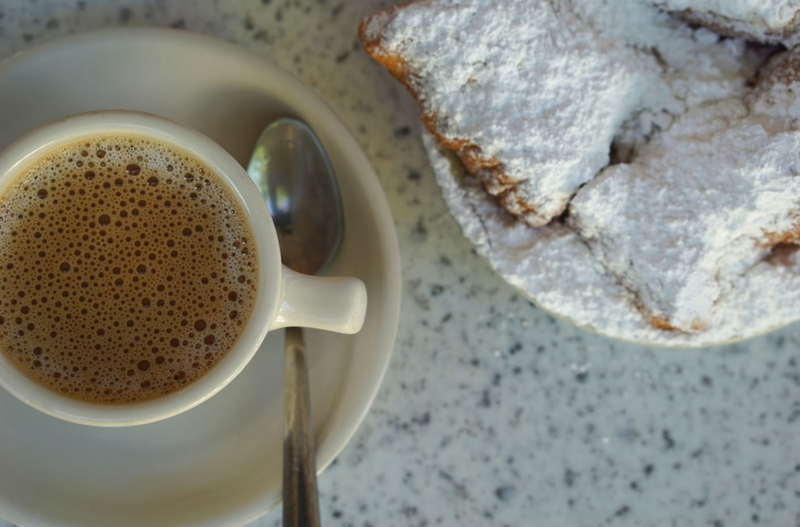 Grab a cafe au lait and a plate of hot beignets. Watch people filter in off the street and relax to the sounds of the trombone player who sets up post right outside. Bring cash and wear light colors - you’re bound to get covered in powdered sugar. District: Donuts.Sliders.Brew. Some of the best donuts in town. Even the simplest cinnamon and sugar is perfectly sweet, crisp, and airy. Come lunch you can have one of the best sliders in town, too. Mammoth Espresso. Located in the heart of the Warehouse District. Come for coffee, espresso, tea, and a treat. Willa Jean. A bakery and restaurant in one with a selection of small plates and heartier meals. Classic southern flavors with a modern flair. 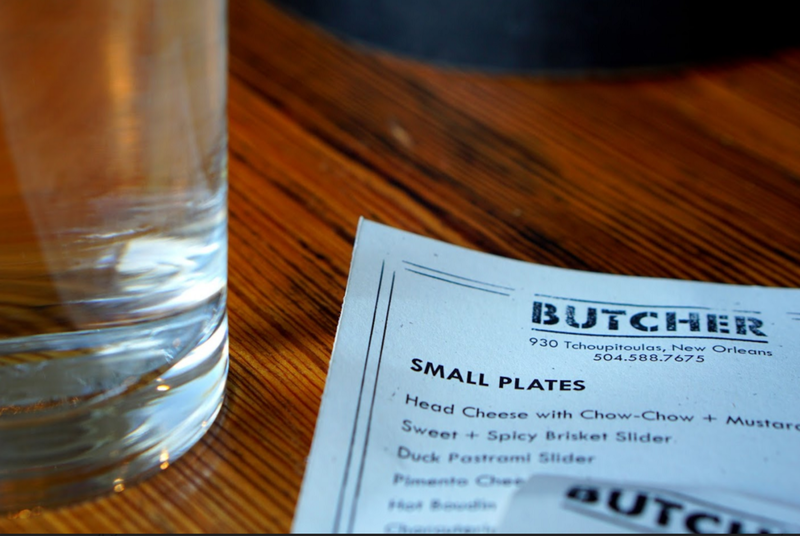 Cochon Butcher. No ordinary deli. This low key spot by award-winning chef Donald Link is not to be missed. Go for lard crackers and a charcuterie plate sourced from local farms or bite into one of the amazing sandwiches built with house made meats. Don’t let the Chewbacca scare you off. Lola’s. Make a reservation. Lola’s is tucked away on the first floor of a tiny house off Esplanade. The tables are close but the paella is definitely worth it. St. Roch Market. Can’t decide? Try a little bit of everything. This restored building is bright and fresh and features a collection of local purveyors. You’ll find oysters, pork tacos, a bahn mi, and ice cream. Eat inside or at one of the tables on the patio. La Petite Grocery. Chef Justin Devillier returned to New Orleans post-Katrina to revive this quaint french restaurant on Magazine Street. In a food culture based on indulgence, Devillier has created a menu that honors New Orleans’ roots but handles the food with refinement and delicacy. The blue crab beignets (stuffed with crab and whipped mascarpone) are not too be missed. Bacchanal. You’d drive right by it without a second glance if you didn’t know what it was. It sits across from a vacant Naval facility covered in graffiti and when you step through the doors you enter a dark cellar with a crumbling cement floor. Inexpensive coolers house cheese. To your right are racks and racks of wine from around the world. Buy a bottle, a bucket of ice as needed, and head out to the patio for live music. La Boulangerie. A selection of coffee, pastries, breads, and sandwiches. And ice cream. The sno ball shack at Cast Nets. A little out of the way off Hayne Boulevard in New Orleans East, this sno ball shack as the best shaved ices. It’s the simplest but most refreshing treat on those hot summer days. 1. Favorite view: We always park in the lot sandwiched between St. Peter’s Street and the east bank of the Mississippi, then walk up the stairs to a platform that overlooks Jackson Square. From there the smell of fried dough floats up the nose while your eyes take in the grandeur of St. Louis Cathedral. 2. Favorite place to write: I do most of my writing in the early morning while the sunlight washes over my parent’s backyard. These are the quietest moments. 3. Favorite museum: The New Orleans Museum of Art. Once I finish admiring the collection housed within, I love to wander the sculpture garden. 4. Favorite coffee shop: Café du Monde for people watching with piping hot coffee. 5. Favorite thing about New Orleans: If nothing else, when you come here you learn to slow down. No one is in a rush to do anything but just be.